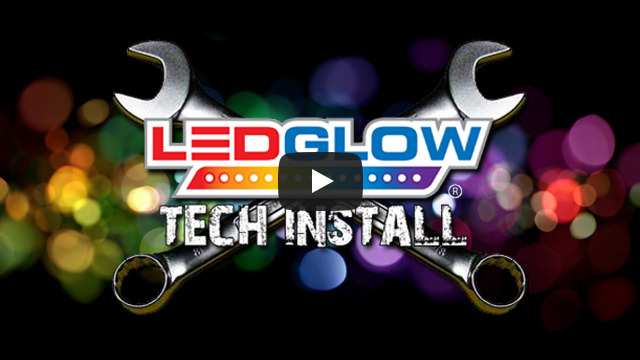 LEDGlow’s Green Wireless SMD LED Truck Underbody universally fits 166 ultra-bright green SMD LEDs housed in (2) 46”, (2) 36” and (2) 24” underbody tubes to any truck! LEDGlow’s Green Wireless SMD LED Truck Underbody Lighting universally fits 166 ultra-bright, wide angle SMD LEDs housed in (2) 46”, (2) 36” and (2) 24” underbody tubes to any truck! The 2 included 24” tubes provide additional underglow lighting for vehicles with a larger wheel base. Featuring a flat mount tube design with 15 degree angled mounting brackets that take up less space than the previous, round tube model. This wireless controlled underbody lighting kit produces an ultra-bright glow by using surface mounted LEDs that allows for a stronger color spill that surrounds the bottom of the truck. So far I’m impressed with the LEDGlow kit inside and out. Easy enough to install in a few hrs. Only one issue with one connector breaking but luckily it’s working for now.